It looks classy and it helps make sure overly intoxicated individuals do not continue their consumption. Not only are sodas, juices and waters good for mixers, they're also good non-alcoholic drinks. Consider serving non-alcoholic beer for grape juice for those that like the taste of beer or wine, yet don't want to consume the alcohol. Planning on serving alcohol? Serve filling food to help limit alcohol consumption. Planning on serving alcohol? Arrange for transportation and overnight accommodations ahead of time. Did you know you can be held responsible if someone is in an accident driving from a party you throw? 40% of traffic-related deaths between Christmas and New Years is alcohol related. Avoid this statistic. Some home insurance policies offer liability coverage if someone is involved in an accident should they manage to drive home intoxicated. Knowing this is a must. If you don't know, click here to get a quote. Don't just invite everyone you're friends with on Facebook. 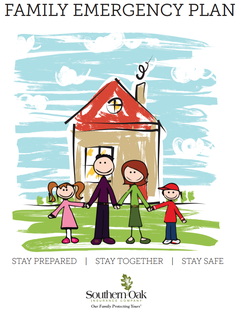 It's easier to stay on top of home safety when you limit numbers. By scheduling activities, it reduces alcohol consumption. Just make sure it isn't a drinking game. As the host, you're responsible. So limit your consumption and pay attention to those attending your party. Some guests might prefer to walk it off. Not a good idea. According to Injury Prevention Journal, more pedestrian deaths occur on New Year's than any other day of the year. Know how many people you are inviting and make sure you have enough seating for everyone. Excess noise might be coming from your home and street parking fills up. Let your neighbors know ahead of time. It's only courteous. Click here to read about house hazard tips you may want to consider when having house guests. 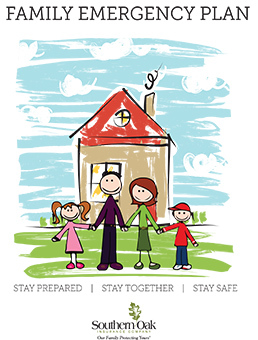 To keep you homeowners insurance down, keep the family safe all year long and download a free Family Emergency Plan.